Brig. Gen. Stephen Clark of Air Force Special Operations Command has been tapped to get to the bottom of a NATO airstrike that killed 24 Pakistani soldiers on Nov. 26. Marine Corps Gen. James N. Mattis, commander of U.S. Central Command, appointed the rated command pilot as the investigating officer who will lead the probe and deliver a report by Dec. 23, according to the Pentagon. 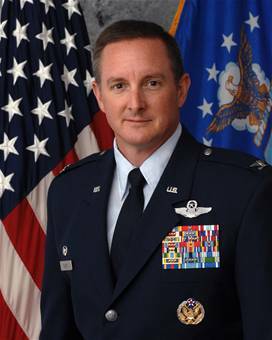 Clark has been in the Air Force for about 25 years and previously served as the commander for the 27th Special Operations Wing at Cannon Air Force Base, according to his service biography. He is currently serving at AFSOC headquarters at Hurlburt Field, Fla.
Clark will be responsible for determining which U.S., NATO International Security Assistance Forces, Afghan and Pakistan units were involved; which units did or did not cross the border and under what conditions and authorities; what coordination was conducted, what battle damage occurred and the cause of deaths and injuries; and recommendations for improving near-border operations, according to the Pentagon.